It has been awhile since we updated the space, but fret not, we are working hard on getting some really cool content up on the site. 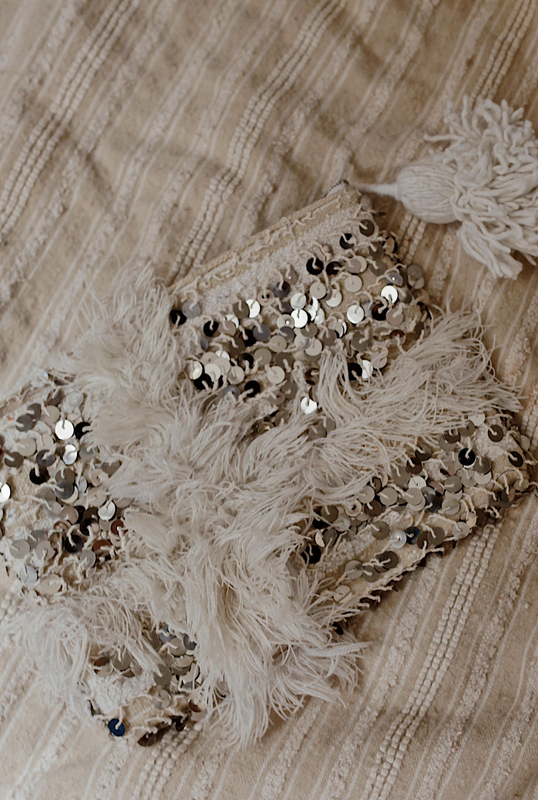 First up, we thought we would introduce some of the pieces in our Holiday collection. 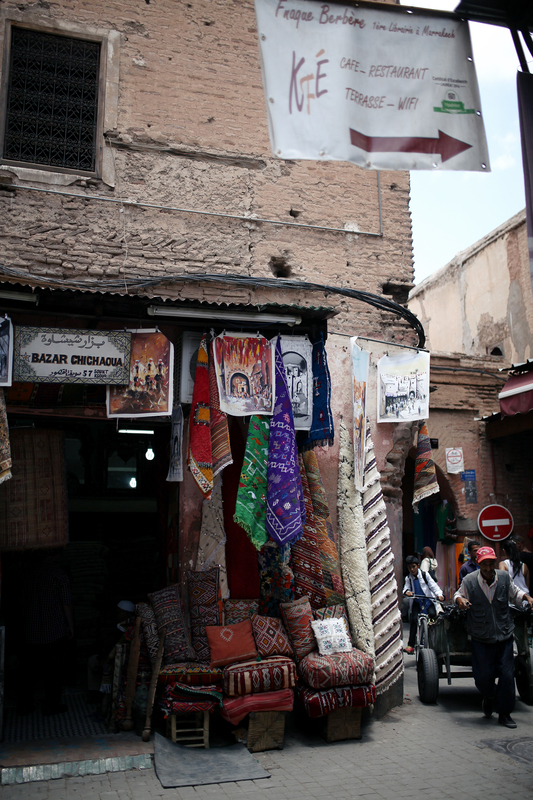 I have always loved the white Moroccan blankets I saw in the souks during my travels around Morocco. I later learnt after several trips that it is called the Handira. 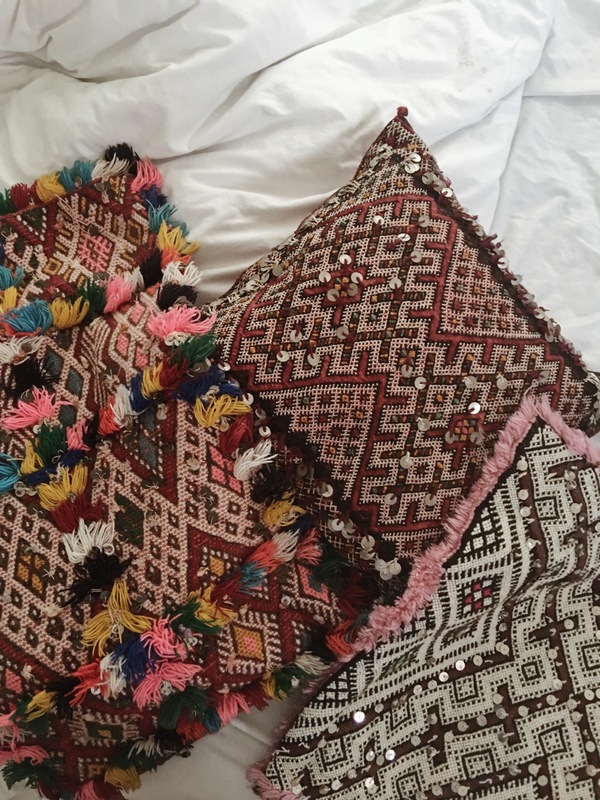 The Handira is woven by hand out of cotton, linen and sheep’s wool by a Berber bride-to-be and her female relatives while teaching her what it means to be a wife. 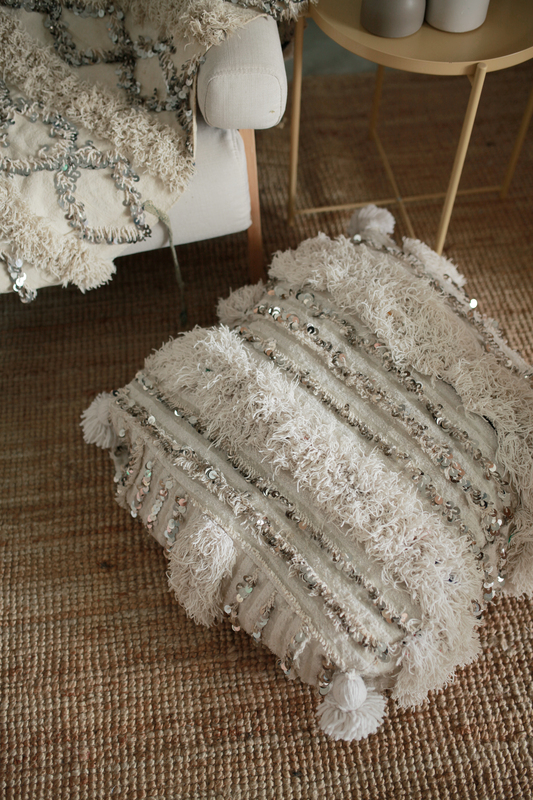 It takes hours and even weeks, to attach each mirrored sequin once the blanket itself is woven. The bride traditionally wears the blanket after the wedding ceremony as a cape. 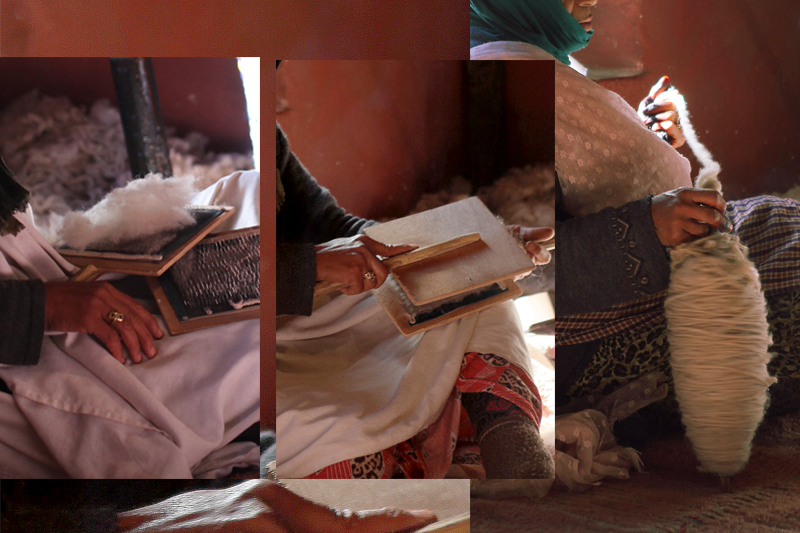 For Berbers, everything they do comes with a purpose. The hand weaving process is thought to endow the textile with blessings. It is meant to ward off evil, bestow fertility and good luck to the newlyweds. 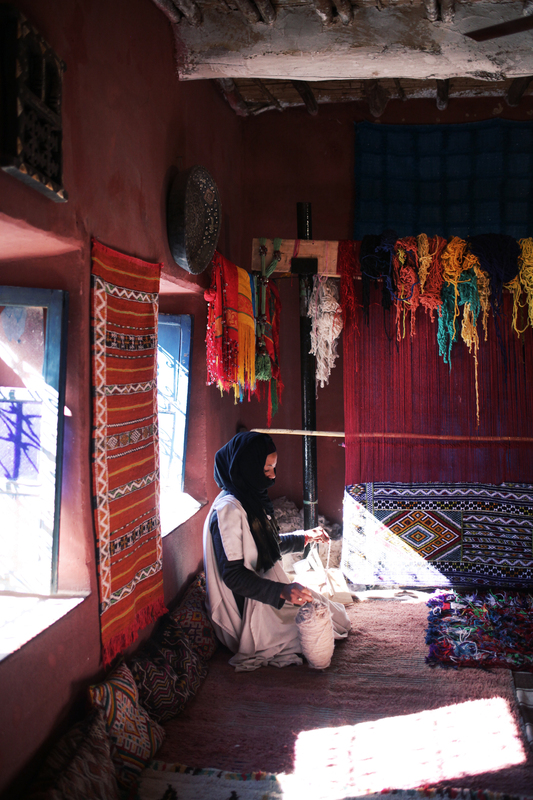 Last November, on our way to the Sahara Desert, we visited a Dar (which means home in Arabic) where Berber women would weave such blankets and other rugs and carpets. A lot of the rugs, blankets and carpets in Morocco are vintage and that means that they have been well used in Moroccan homes. There we learnt the process of how they are made. 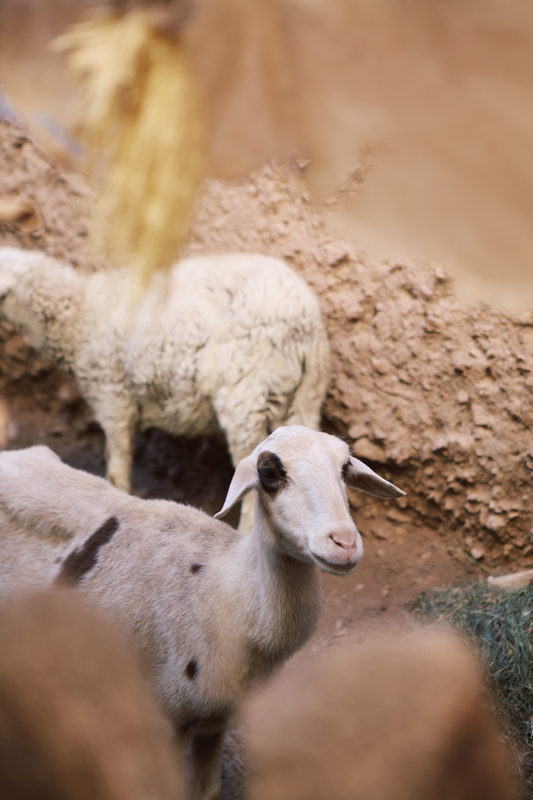 After the wool is shorn from the sheep, it needs to be cleaned and scoured or it will contain natural oils. The wool is then hand spun. It twists fibers together and makes yarn. The wool is spun into threads that are perfect for weaving. The loom and warp are then prepared. 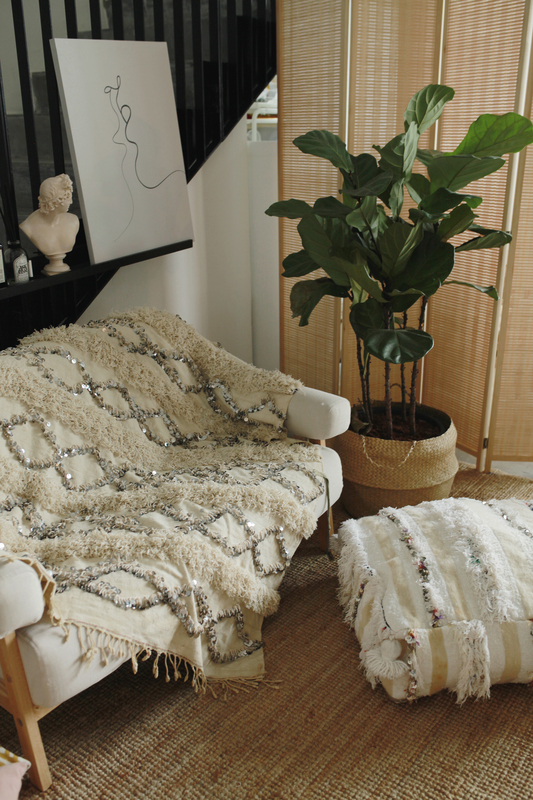 After which knotting takes place to create a rug or blanket that is dense. Sometimes the rugs are washed up to 3 times to make them soft and put under the sun to dry. The tapestry and patterns you see on rugs usually represent the distinctiveness of the region of origin of the Berber tribe these women are from and much about their life. A lot of our accessories and cushion covers are made from such rugs. The same could be said for cushions, ultimately they go through the same process. Our range of clutches and bags are made from such blankets and cushions. 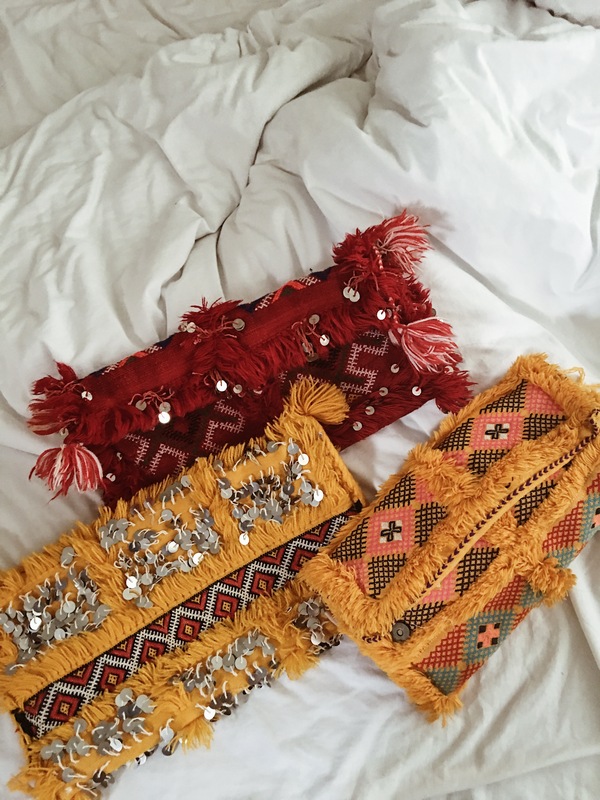 We source them in the souks of Morocco and at the Atlas Mountains before they are made by local women at their respective homes. 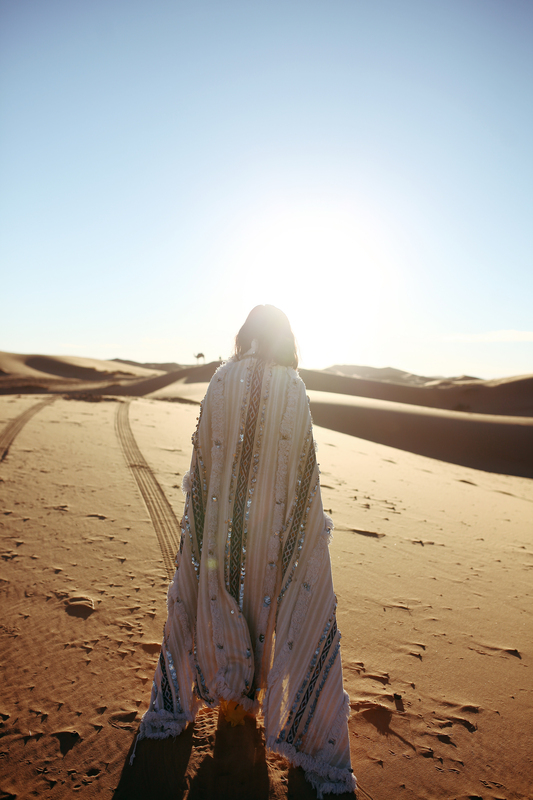 We got a couple of Handira blankets and like they're traditionally meant to be worn, we put them on as capes in sub zero degree temperatures in the Sahara desert. These Handiras are heavy and can weight from 3 to 8 kilos depending on the size and the embellishments. 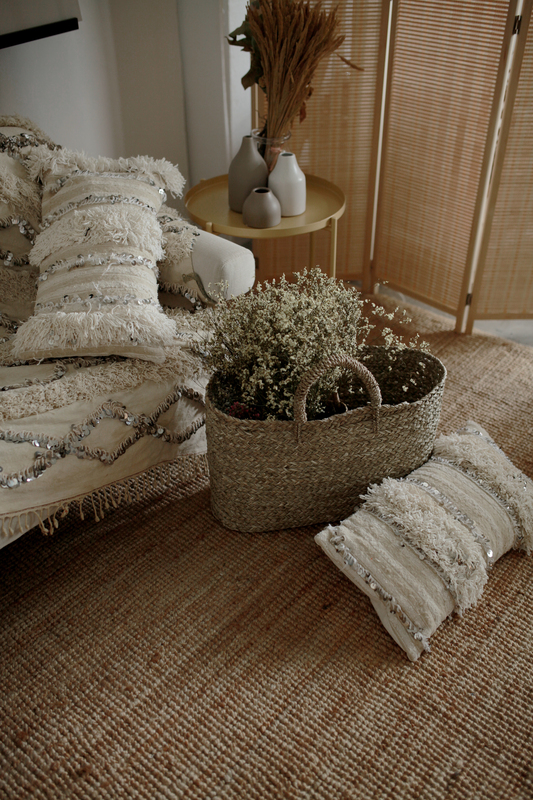 These Handira blankets make a great statement piece over a bed or couch and add so much personality in one's home. With the Handira we sourced, we have made them into clutches, cushions and poufs that are so beautiful it's hard to part with them! Our love bags have all sold out now (thanks for the incredible response!) but we have gotten more Handiras and are working with locals to make them into more bags for you guys. Hopefully we will be able to bring home more rugs and carpets in the future but we hope you enjoy the pieces we have specially curated for the Holiday collection and have had a glimpse into what goes behind making these pieces.